Crown Publishing Group (NY), 9780307408976, 584pp. In the final book in the Infected trilogy, the entire human race balances on the razor's edge of annihilation, beset by an enemy that turns our own bodies against us, that changes normal people into psychopaths or transforms them into nightmares. To some, Doctor Margaret Montoya is a hero--a brilliant scientist who saved the human race from an alien intelligence determined to exterminate all of humanity. To others, she's a monster--a mass murderer single-handedly responsible for the worst atrocity ever to take place on American soil. All Margaret knows is that she's broken. The blood of a million deaths is on her hands. Guilt and nightmares have turned her into a shut-in, too mired in self-hatred even to salvage her marriage, let alone be the warrior she once was. But she is about to be called into action again. Because before the murderous intelligence was destroyed, it launched one last payload: a soda can-sized container filled with deadly microorganisms that make humans feed upon their own kind. That harmless-looking container has languished a thousand feet below the surface of Lake Michigan, undisturbed and impotent . . . until now. 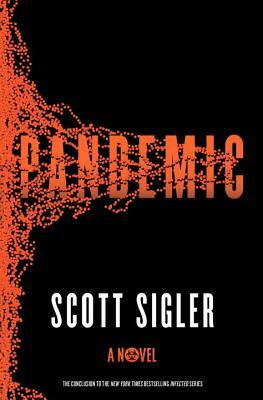 Scott Sigler is the New York Times bestselling author of several novels, including Infected, Contagious, Ancestor, and Nocturnal. He lives in San Diego.